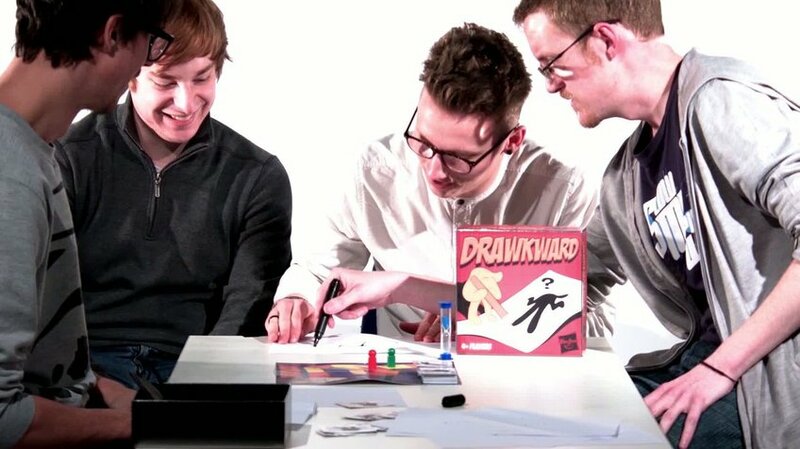 Drawkward is the awkward drawing game where teams of two or more compete to get to the end of the arm on the game board. 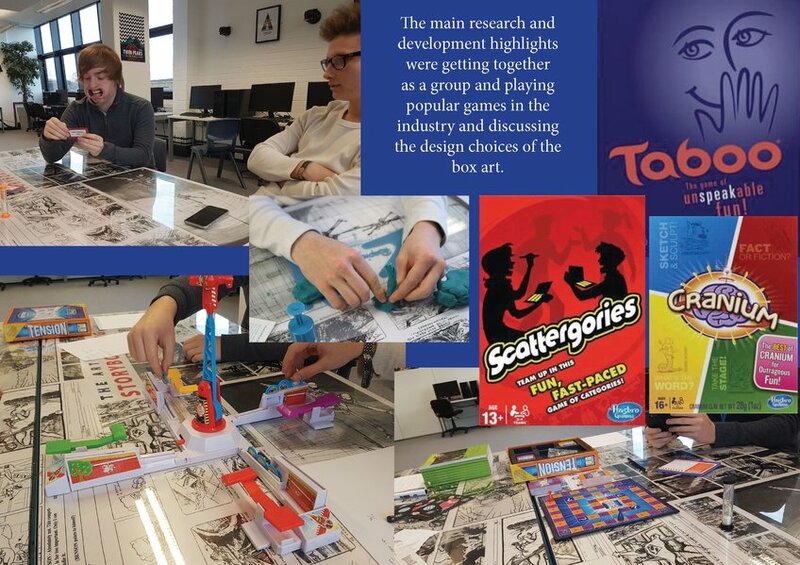 Each turn a player must pick an Awkward card and a Draw card and awkwardly draw what you see on the draw card. 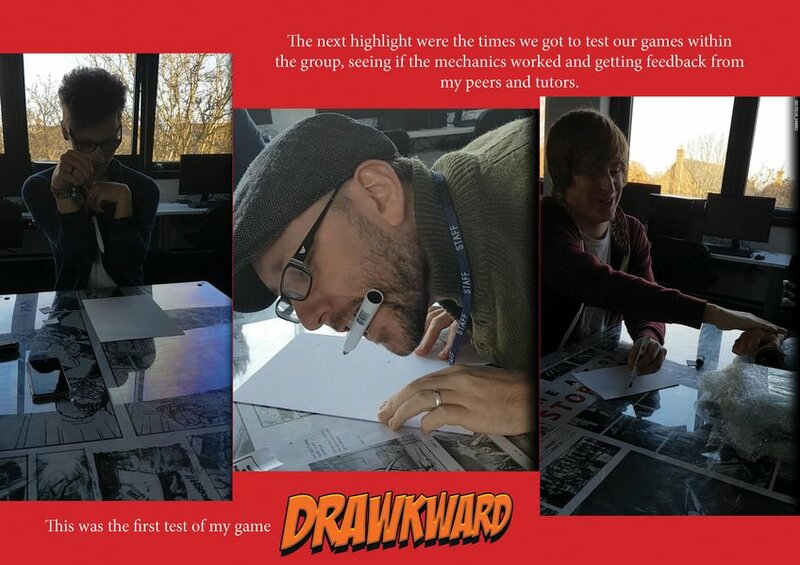 If it says you have to draw a dog while wearing a blindfold, that is what you have to attempt to do, and your teammate or teammates have to guess what it is before the timer runs out. If they guess successfully you move forward one space.